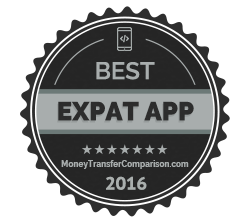 After creating the comprehensive list of the best blogs for expats on our Expat Magazine, as well as generated the internet’s largest money transfer app database, we figured out it would only make sense for us to create a list of the Best Mobile Apps for Expatriates. 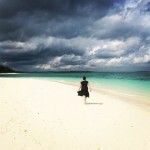 Making the transition to expat can be difficult at times. With the development of Smart Phones, the expat has more resources to make their transition easier than ever before. In fact, it is quite extraordinary how the Smart Phone App designers have implemented the needs of expats into these Apps. Whether the prospective expat is looking into moving logistics, banking, making friends, dining finds, visa regulations or health care facilities, these Apps have you covered. Travisa was truly an exciting find because of the many countries that require exhaustive processes to obtain a travel visa. 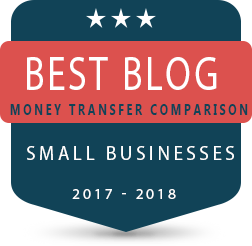 On the Internet, there are many sites that present conflicting and sometimes inaccurate information about visa regulations. Generally, it is recommended to look at the website of your home country or the consulate of the country that you are trying to visit. That being said, Travisa has changed the game on finding reliable travel information. Travisa is incredible in that it provides the most current travel visa information that is even specific to the type of visa that you are looking for. For example, if you need to travel to India on a business visa, you select your nationality from a drop down menu and the App provides you a detailed description of what you need to do to successfully get your visa. 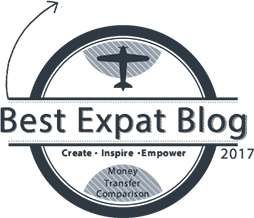 This is a remarkable tool for the expat who is traveling frequently on business. Pros & Cons: This App is one big Pro. 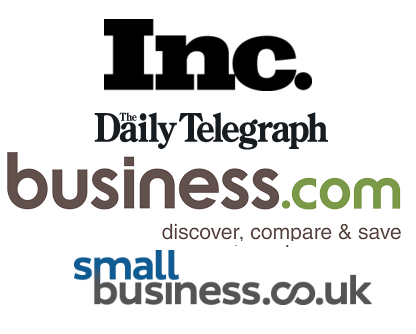 It is easy to use and distributes exactly what the consumer is looking for effectively. Summary: This App is ideal for the frequent business traveler who needs to go to countries with difficult visa requirements. This allows the user to have all the information that they need in one place so that they can plan and execute their visa applications with efficiency and accuracy. Doctoralia is a great resource for expats because it provides reliable information about both doctors and health care centers in the city that you are either traveling to or moving to. What makes Doctoralia sensational is that it utilizes a map function to check your location and enables you to find the best doctor nearby. Once you have found a list of doctors or health centers near you, you can click on the names of those doctors or health centers and see patient feedback and credentials about the doctors that exist there. This is a great App for expats because if you are moving to a locale that is greatly different than your home country, you may get sick at times due to the adjustment. This App gives you a great way to get around language barriers because it also says what languages the doctors speak so that you can make your choice. 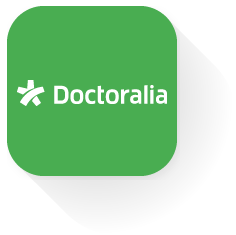 Doctoralia is one of the better Apps for expats because its use is so practical to the needs of the expat in a new country. Pros & Cons: This App also does not have cons. Its map technology is easy to use and allows the expat to find a reliable medical center through an App interface that has detailed feedback and pertinent information. Summary: Doctoralia is a great resource for an expat that is moving to a new country where they do not have referrals for physicians. Doctoralia allows the expat to locate a doctor that speaks their language in a new country with patient feedback if they are traveling or completing a long term assignment there. Go4Biz is a superb App for expats because it is the one-stop resource for business etiquette when entering a new culture for commerce. For the expat who is being thrown into business meetings in Asia one week and Latin America the next, this is your App. Go4Biz is catered to eliminate cultural misunderstandings that have historically transpired in business meetings, which provides the Expat a chance to impress their business partners and clients on many different continents. Additionally, Go4Biz provides pertinent current events and cultural information about the country that is being visited to prepare the executive to be more personable with who they are meeting with. This is surely one of the Apps to watch for future years because it has the potential to become invaluable to business professionals. Pros & Cons: Go4Biz really does not have cons relating to its use. It is easy to use and is very effective to present pertinent information to the executive with ease. Summary: Go4Biz is the one-stop shop for the executive traveler who is trying to learn more about the country that they are visiting in order to prepare for a big meeting. This App allows the executive to learn about common business culture etiquette, current events, and relevant business tips to impress their clients. This App is a great addition for the expat who is just getting situated in their new city. Previously, the expat had to search around for signs in coffee shops to find a place to connect to Wifi; however, the world of Apps has changed this process forever and in a great way! 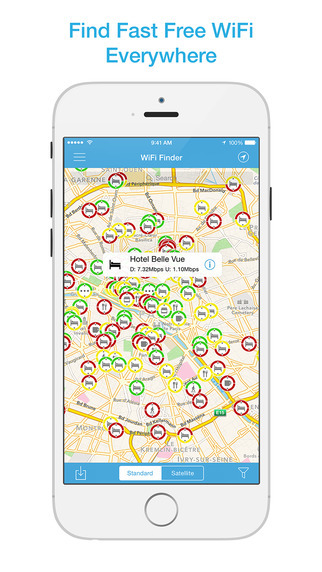 By utilizing map technology, the Wifi finder shows the expat where the hotspots are around their new city and which ones can be accessed for free. This is a great resource for the expat who needs to get pertinent information by using Wifi and does not want to pay international roaming data charges. Pros & Cons: The major con of this App is that it is not available for Android. There are many of these Wifi finder Apps available in the App store, but there is not one comprehensive go-to source for this information. That being said, this App was available in the most languages to include: English, French, German, Italian, Japanese, Portuguese, Russian, Simplified Chinese, and Spanish. Summary: This App is a great way to locate potential Internet hotspots for your day on the go in your new city. This will allow the prospective traveler and expat to save a great deal on their data plan and stay connected. This App surely has a practical use for the expat who is moving to a country with an entirely different culture. The App is designed by Charmin, which is one of the top toilet paper brands in the world. Aside from being marketing genius, the App tells the user where the cleanest restrooms are near to their current location. In many countries, this is very useful to the expat who cannot read the signs if the language is very different. Apps such as Sit or Squat are great useful Apps that help the day-to-day life of the expat or traveler. They make the everyday process of the potential questions that travelers ask simplified. For instance, Sit or Squat has a rating system of the various restrooms, which is quite informative so that the expat or traveler can select, which restroom is most convenient to them. Pros & Cons: This App has a great deal of pros in that it facilitates a gap between cultural misunderstandings and works quite well with the map function that Charmin designed. Summary: Sit or Squat is a great asset to the day-to-day life of an expat or traveler. It also promotes restaurants to maintain the cleanliness of their restrooms since now customers have a forum to leave feedback. Smart Traveler is an App that is designed by the United States State Department. Even though this App is designed by an American government agency, it provides useful travel updates about the security of various countries. This is useful to any traveler who wants to be kept in the loop about potential threatening situations that can arise while traveling. The user of the App is able to search for the country that they are concerned about or are currently living in. This App also gives local contacts in order to contact in the event of an emergency. This App is the ideal tool for the traveler and expat to possess on their Smart Phone in order to stay informed. Pros & Cons: The App is currently only available on the iPhone and the Google Play Store. The only Con of this App is that it does have more benefits for those who are American. However, it is still useful for staying current on global affairs. Summary: The United States Department of State has created an App that is more than a news station. The App is great for keeping the traveler and expat informed on a day-to-day basis of their expat and traveler experiences. GlobeTipping solves a major issue for both international tourists and expats alike. Depending on the country that you are visiting, there is a different tipping culture. What this App does is allow the tourist or expat to select the country and then calculate the recommended tip with the country’s current tipping culture. This App, while still new on the scene, has the potential to solve a major cultural barrier that become quite awkward when living in or visiting a new country. The other aspect that is great about this App is that it is not just for restaurants. The tip calculator also applies to other travel activities that can be beneficial for the tourist or expat to understand what the custom is in the currently that they are currently touring. Pros & Cons: This App, while still new, has had mixed reviews. Having used the App myself, I see a few bugs that given time will be solvable. The point with this App is that once it works better the Pros will surely outshine the Cons because it eliminates yet another step that the expat or tourist has to think about when they are getting to know a new culture. Summary: This App is something that can be useful for any traveler or expat that is trying to figure out tipping customs. This idea is genius and is something that many people have been unsure about when traveling for years. 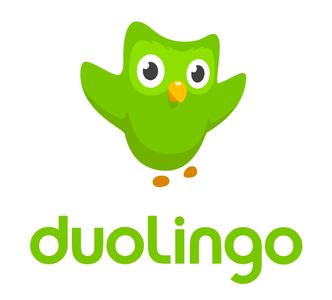 Duolingo is a great free App that allows the expat or traveler to learn the basic grammatical structure of a new language on the go. What is neat about Duolingo is that it reminds you to study everyday in different minute increments that the user can choose. The App is currently available in English, French, German, Italian, Portuguese, and Catalan.ter Apps for expats because its use is so practical to the needs of the expat in a new country. Particularly if you speak another Romance language, this App is for you because it allows you to benefit from the similarities between the Romance languages. For example, a Spanish speaker can learn Portuguese with ease while using this App for only ten minutes per day. The App rotates between grammar, pronunciation, and listening to improve one’s accent. Pros & Cons: The Pros of this App are that the App allows you to exercise the functions of language learning pertaining to speaking, listening, grammar, pronunciation, and writing. That being said, Duolingo only goes so high on the language learning level. In the coming years, it is possible that they will increase their level, but one has to currently look elsewhere for more advanced study. Summary: For the language learner who is always on the go, Duolingo is your App. The App will remind you to practice daily and will allow you to learn another language while sitting on the subway or waiting in line to order your lunch. 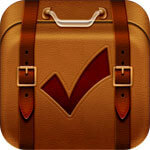 Packing Pro is a great App for either the traveler or the Expat. The way that the App functions is that it creates customized packing lists based on the destination that you are planning on visiting and the number of people that you are taking with you. One can customize the list to include children or a romantic getaway, for example. Another dimension that makes Packing Pro very useful for expats is the planning of one’s move overseas. The App allows the expat to plan a list of what items they need to take with them for their global assignment. This is a great tool to remember all of the details associated with a global move, which can become quite overwhelming. Pros & Cons: This App has been featured in all the media giants because it is sensational. The Pros of being able to make custom packing lists and then sharing them with the parties who need to pack them is a major Pro. The App is only available on iPhone currently, which is one of the only Cons that I observe currently. Summary: For the person on the go who always forgets something in their suitcase or in their global move, Packing Pro is a great asset to you. The App will allow you to make customizable lists for the weekend getaway or the global move. For the expat who is traveling frequently for business or trying to keep in touch with their family via FaceTime in different time zones, World Clock – Time Zones is your App to understand global time differences. Especially for those who are tired of calculating the time difference between Florida and China, this App is ideal to make your life easier. Additionally, for the expat who is a business professional, this App can save you many misunderstandings on your conference calls because it also stays current with the global time change patterns throughout the year. As far as efficiency, this App is invaluable to any expat, traveler or business executive who wants accurate figures for their time zone calculations. Pros & Cons: For those who do not have an iPhone, this App is not the right choice for you, which is a Con. That being said, for those loyal iPhone followers, this App is a wonderful and efficient tool for you to greatly enjoy. 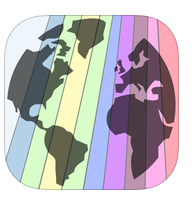 Summary: If you are tired of guessing whether you have calculated the right time difference and you have an iPhone, download this App and you will be amazed at how your misunderstandings relating to time zones vanish permanently. OpenTable is an App that has been very popular in the United States that is now starting to go global. OpenTable allows one to reserve a table for a dinner at any restaurant in town. Additionally, the App gives gift certificates to local restaurants after a certain number of uses. What is particularly great about this App is that the restaurant has reviews and feedback that the user can see along with pictures of the food and menu access for pricing information. While this App is not global yet, it will be in the next few years given that it has already gone to the United Kingdom. For those expats or travelers in these two countries, this App is a wonderful resource to learn about local restaurants and to also get a table on a Saturday night in your new city. Pros & Cons: This App is available on iPhone, Google Play, and the Windows Store. The Con is that it is not as globalized as some of the other Apps, but give it time! Summary: For the foodie who does not want to wait hours for a table, OpenTable is your source for dinner reservations and the hottest and most exciting restaurants in your new city. MeetUp is a great tool for expats or travelers in a new city. With this App travelers and expats can find meet up groups that are based around subjects that they are interested in. 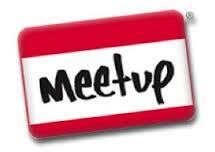 The user can subscribe to various meet up groups and get information about upcoming events. The social aspect aside, this App has also become useful for trade networking. For example, in Santiago there is an Information Technology society that is on there hosting regular events. This, if used properly, could allow the expat to learn about viable industry-specific employment opportunities. Pros & Cons: sThis App is a major Pro because it has expanded all over the world and is a great way to make connections in your new city. The Con is that some of the meet up groups charge a fee for entrance to the event, thus, be sure that you read the fine print. Summary: For the expat who is struggling to make social connections with similar interests, MeetUp is the ideal choice to fill your social calendar and start making connections in your new city..
Time Out is an App that suggests ways for you to get to know your new city as an expat. An example of this can be seen relating to local festivals, museum openings, and current theatre offerings. Whatever you are looking for in your new city, Time Out can help you to get there and learn about the local culture. This App is a great way to step outside the traditional guidebook and discover the hidden gems of your new locale. 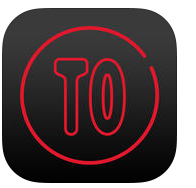 Apps such as Time Out are so wonderful because they present a new dimension for the expat living abroad. Additionally, Time Out is useful for the traveler to see events going on in nearby cities that they may want to visit. Pros & Cons: There are many Pros to this App in that it is a different feel than MeetUp because it connects you to cultural places, not social groups necessarily. The Con is that this App is available exclusively for iPhone users. Summary: For the expat who wants to see something other than their home or office in their new locale, consider looking at Time Out. Time Out will give you recommendations based on interesting events currently happening in your new city. Ever wondered what happened to the traditional post card? Well, it has now gone digital! If you are traveling as a tourist or living abroad as an expat, you can make digitally generated accounts of your travels and send them to loved ones in other cities around the globe through social media photos that are mailed as post cards for 99 cents. This is a great idea since so many of those post cards never made it to their intended recipients over the years. 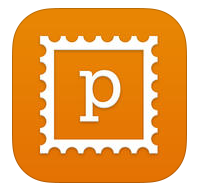 Postagram is a fun App for expats to enjoy to make their experience memorable. This App highlights an important aspect of being and expat or tourist and that is the fun element. While these other Apps are surely useful, Postagram allows you to log your experience to your family members, which is a wonderful way to both enjoy and document your global experience. Pros & Cons: While this is a wonderful idea that allows you to actually print your social media photos with ease, its drawback is that it could get quite pricey if you are sending many post cards out to friends and loved ones. Summary: Postagram is a fun way to turn the pictures that you have posted to social media from your global experiences into post cards that can be mailed to loved ones around the world for 99 cents. This is practical for the expat who wanted to find a way to physically print their photos and share them with others. Expat Accounts is an App that is still green, but surely one to watch in the coming years. 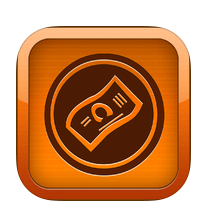 What the App does is allow you to combine all of your bank accounts into one App consistent with your local currency. 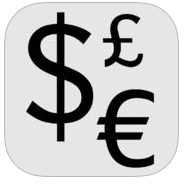 The App is great to keep your finances straight between all of your accounts if you are working and living as an expat. The other aspect that is great about this App is that it has a currency conversion function to help you ascertain exactly what your money is worth in each locale that you are living and working. This App has had a couple of bugs, but in the future, it will become a great asset because it also has pie graphs to show your assets by currency amounts in the accounts that you have in multiple countries. Pros & Cons: This App has a big Pro in that one can see a representation of the wealth that they have in multiple jurisdictions. The Con is that the App is still young and needs to have the bugs worked out. Summary: For the expat who has bank accounts in many jurisdictions, this is the App for you to keep your finances straight in multiple currencies. This will help you facilitate transfers between your many accounts. All in all, there are many impressive Apps out there for expats and travelers alike. The Smart Phone has entirely changed the efficiency of how expats and travelers can conduct their daily lives. Thus, it will be exciting to see what comes next in the way of useful Apps; however, these ones are great starts to promote a higher quality of life for the expat. This piece was written by Jacquelyn Vadnais.